3 Bedroom Terraced House For Sale in Folkestone for Asking Price £275,000. Lots of space on offer in this 3 bedroom family home. There is a large kitchen / diner to front of the property and large large with a log burner to the rear which opens onto a 16ft conservatory overlooking the garden making the downstairs space great for all the family and entertaining guests. Upstairs there are three bedrooms, two good size doubles and a large single along with the family bathroom. Outside to the rear you will find a generous sized low maintenance garden with a pleasant outlook , rear access and a shed to remain. To the front the property is set back from the road with an off road parking space for one car. We feel the property is well presented throughout, other features include double glazing and gas central heating. 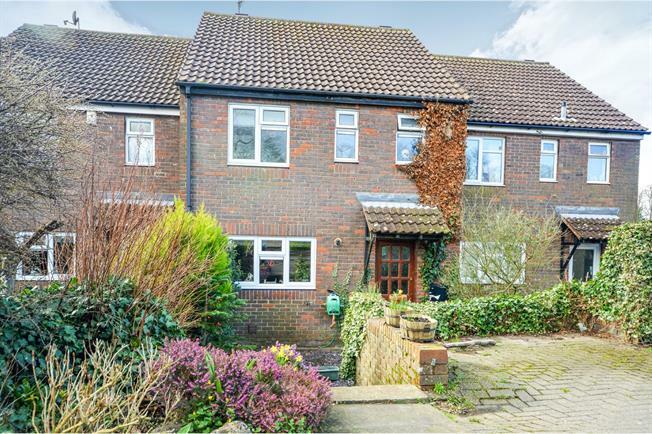 Located in a popular cul-de-sac in the village which offers a good range of amenities including two convenient stores, Indian and Chinese restaurant and the popular Lyminge primary school. There are lots of countryside walks on offer especially with Lyminge forest offering an area of outstanding natural beauty. The village is also well placed for commuting to Folkestone, Ashford and Canterbury.